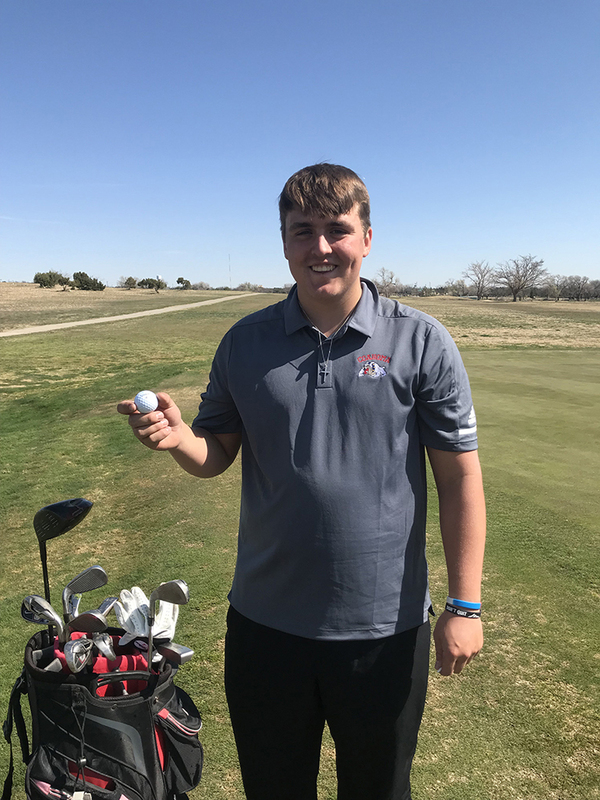 BIG SPRING — Cutter Atkins had a pretty good day at the Coahoma High School Golf Invitational held on Monday at the Comanche Trail Golf Course. In fact, he had amazing day on the links. The CHS student hit a hole-in-one on the 141 yard, par 3 15th hole using an 8 iron. Overall, Atkins carded a round of 93 which was enough to earn third place in the medalist standings and with his outstanding performance, he helped led his team to a second place finish. His fellow CHS teammates also performed well. Ky Kemper shot 96 and finished fourth in the individual medal standings while A.J.Gutierrez, Alex Gonzales, and Aaron Turnbough penciled in a round of 102, 117, and 117 respectively. For the Coahoma girls team, Julia Cox led the way finishing at 109 and tied for third in the medalist standings. Providence Dickson was just 10 shots behind Cox and carded a round of 119. Hartlie Smithie and Brianna Coskey also played well. Smithie and Coskey shot 120 and 140 respectively. The CHS girls team ended second in the team standings.